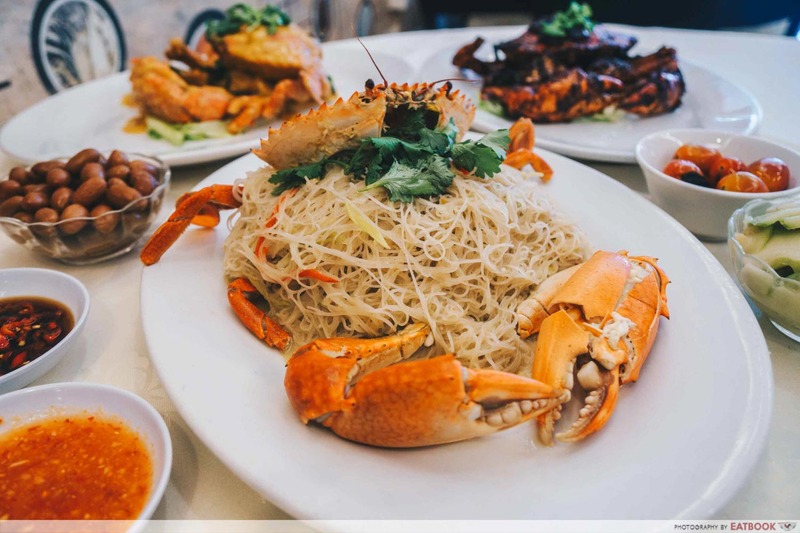 For most of us, eating crab is a luxurious treat. 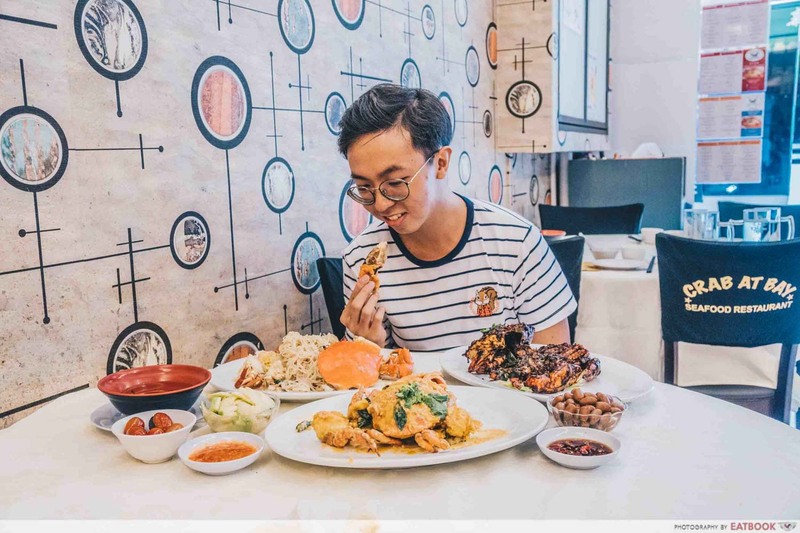 So when my colleagues and I heard of Crab At Bay’s lunchtime promotion comprising two crabs at $38+, we were eager to pay the eatery along Macpherson Road a visit! 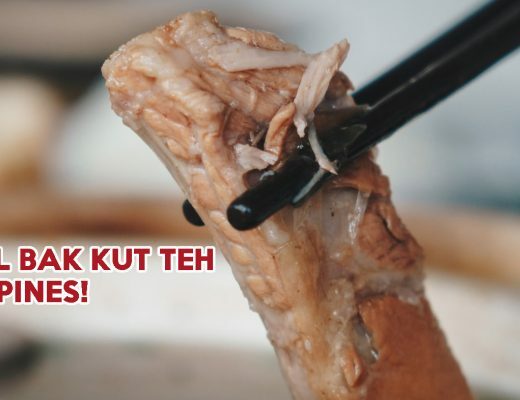 Do take note that during festive seasons such as Chinese New Year, the prices might be different instead. Staring agape at the crab safeguarding a mountain of braised bee hoon, the Crab with Braised Bee Hoon was a feast for the eyes with its sheer size. Stewed in celery and shiitake mushrooms, which lent a gentle bitterness and robust earthiness, the bee hoon carried a comprehensive flavour which awakened my taste buds. 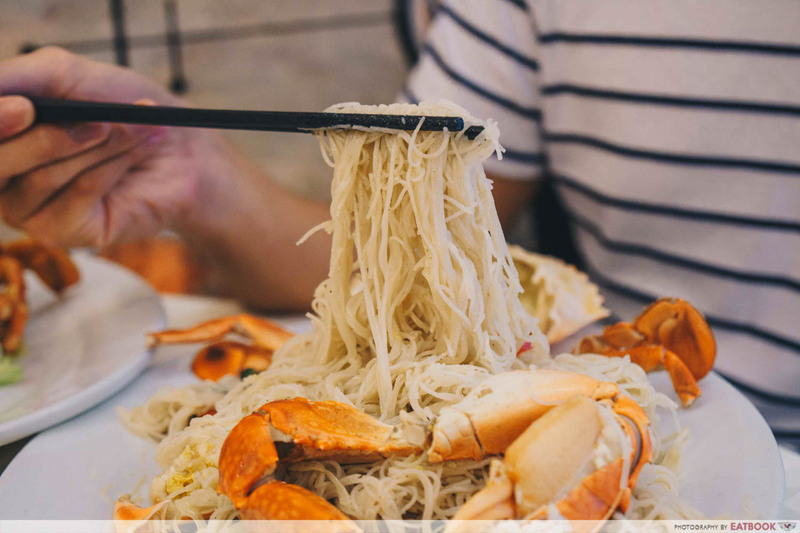 Compared to other braised bee hoon, Crab At Bay’s variant offered a more reduced broth. Unfortunately, having soaked up the thick broth, the noodles coagulated together as we were preparing for the shot, forming a clumpy mess of noodles which were challenging to separate. 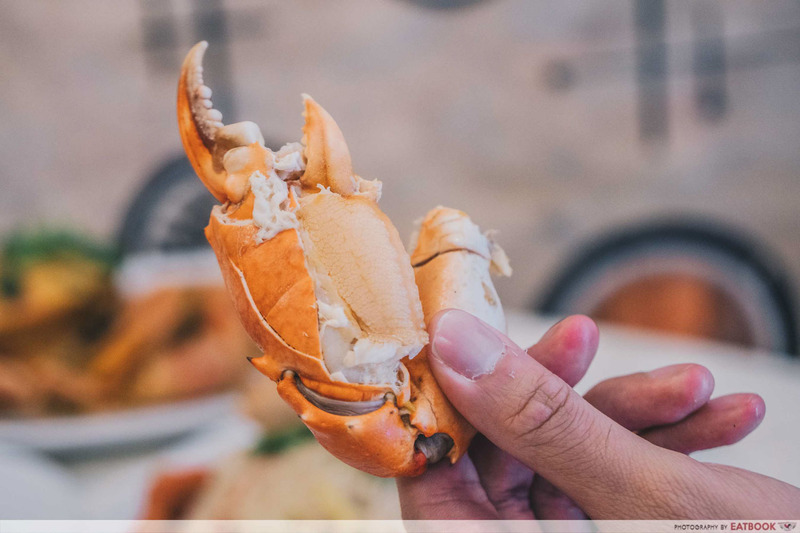 Thankfully, since the crab was pre-cracked, it was convenient to pry the flesh out of the shell without engaging in a tedious tangle with the crab cracker. The next dish we ordered was the Salted Egg Yolk Crab. I was charmingly surprised by the succulence of the crab claw, which exceeded all expectations I had for a 500-gram crab. Owing to the crab’s freshness, the meat had a mellow sweetness while lacking the intense crustacean brine. Saturated with chunks of salted egg yolk, the sauce held a more clumpy texture. 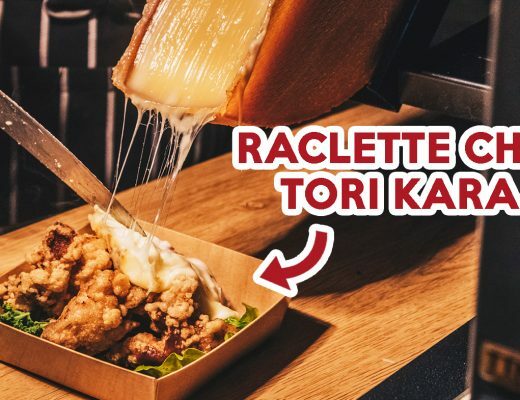 Due to the sauce’s buttery richness, I inevitably found myself licking my fingers clean and savouring every last drop of sauce. 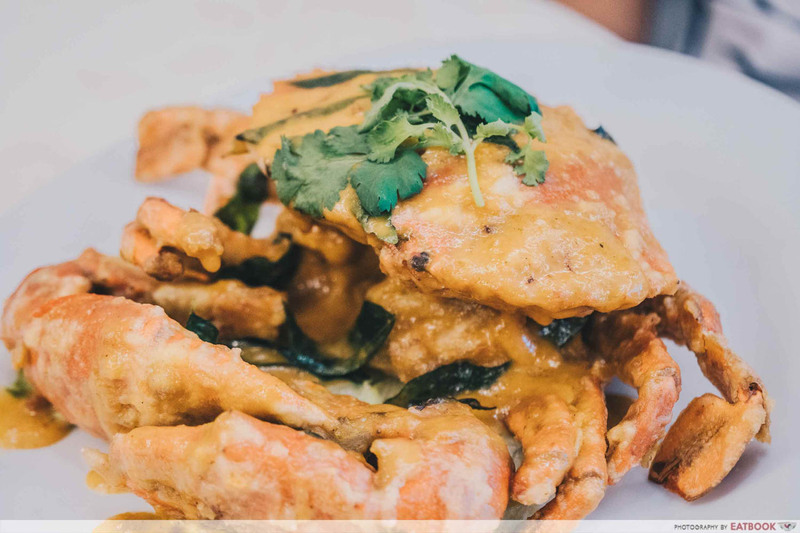 The opulence of the salted egg yolk contrasted against, as well as heightened, the natural sweetness of the crab. 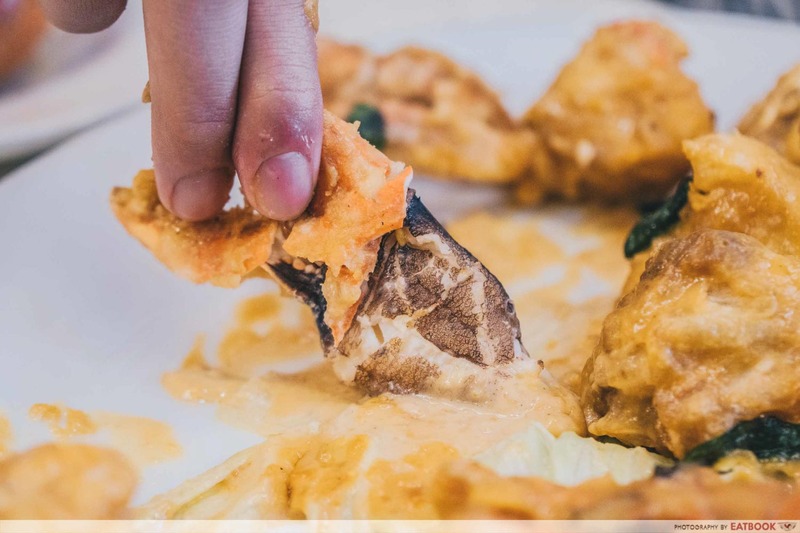 Nestled in the haven of its crab shell, the bountiful trove of crab roe beckoned enticingly with its velvety luxuriance. My only dissatisfaction was that the crab was fried in a thick coating of flour. 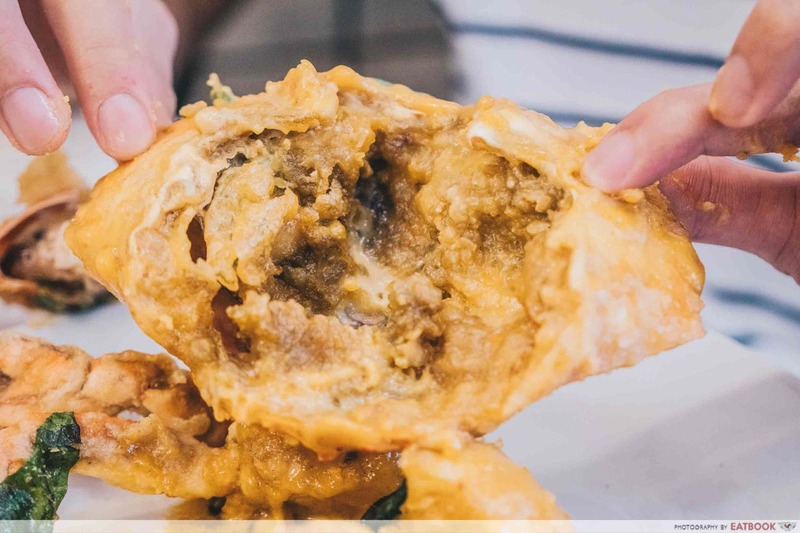 Due to the thick batter, the crab was rather jelak. If you are seeking to whet your appetite, I recommend having the guava salad, which comes as part of the xiao chi ($2+). The sweetness and zestiness of the guava, coupled with the fruit’s rough texture, eliminates the crab’s oiliness. 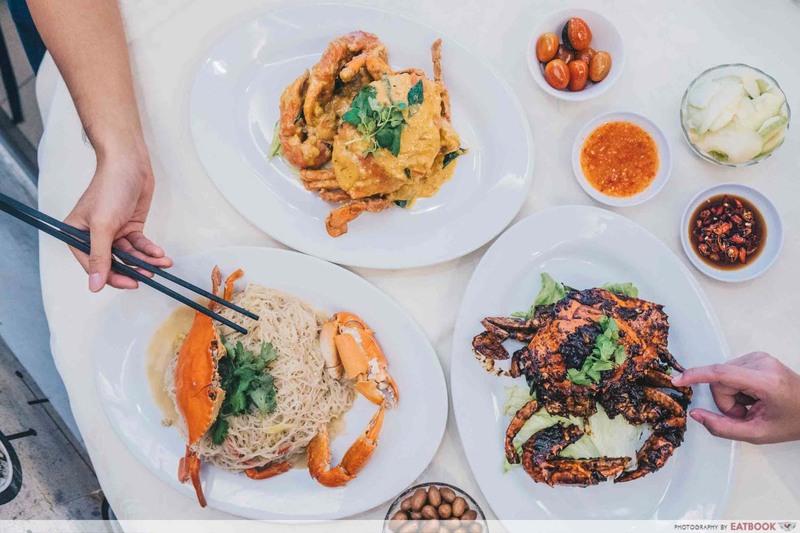 Highly recommended by the lady boss Catherine, we knew we had to try the Black Pepper Crab. The crab effused a gentle black pepper fragrance, which gently caressed my olfactory senses. 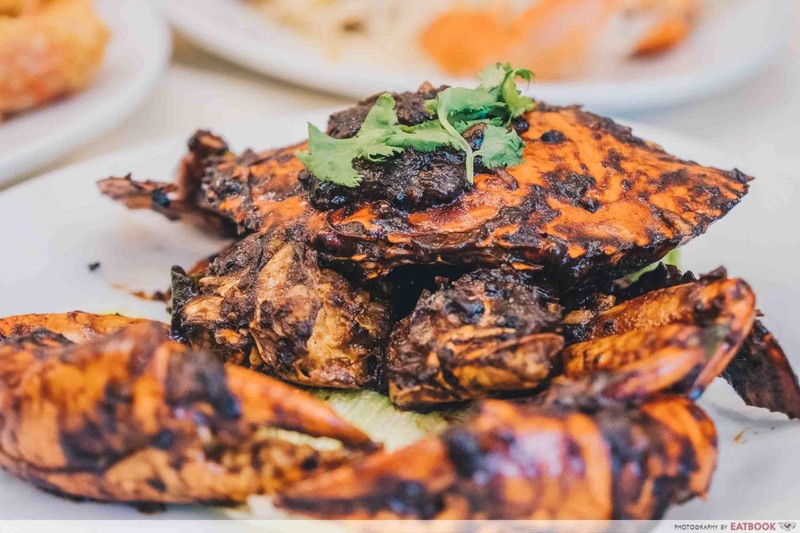 Unlike most black pepper crabs that leave a burning sensation on the tongue, this had a comfortable tang. 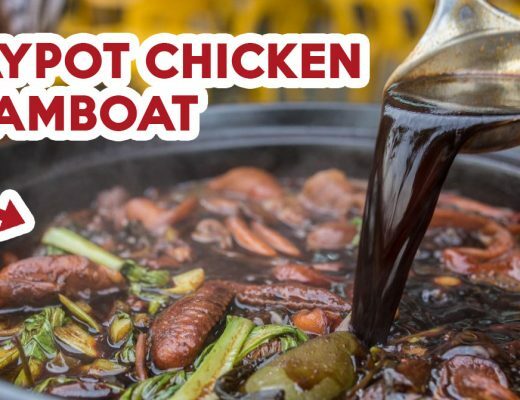 Perfumed with a tantalising smokiness, the sauce carried a kiss of wok hei, intermixed with the sweetness of caramelised onions and savouriness of curry leaves. However, I would have preferred a wetter gravy with more copious portions of black pepper. With the traditional roundtables and conservative wallpaper, Crab At Bay’s intimate setting is perfect for family occasions. Take note if you are planning on driving there as no carparks are in the vicinity. 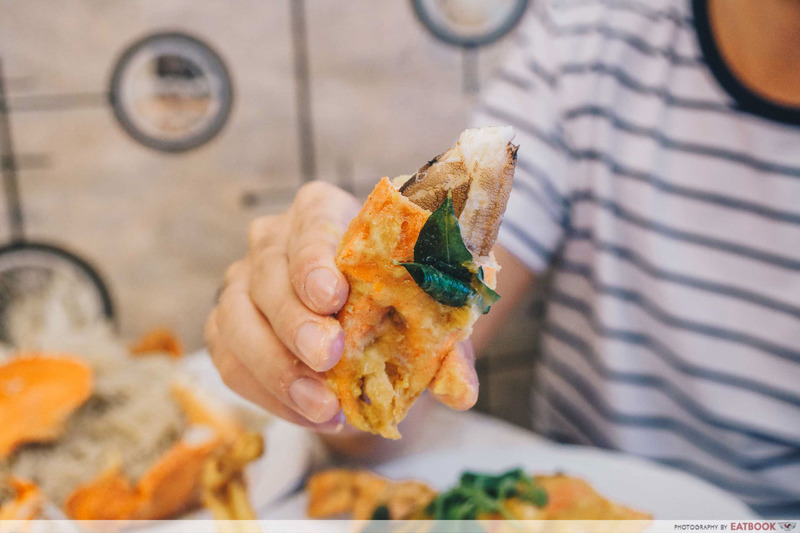 Fortunately, the restaurant is accessible by public transport, a straightforward eight-minute walk from Tai Seng MRT Station! 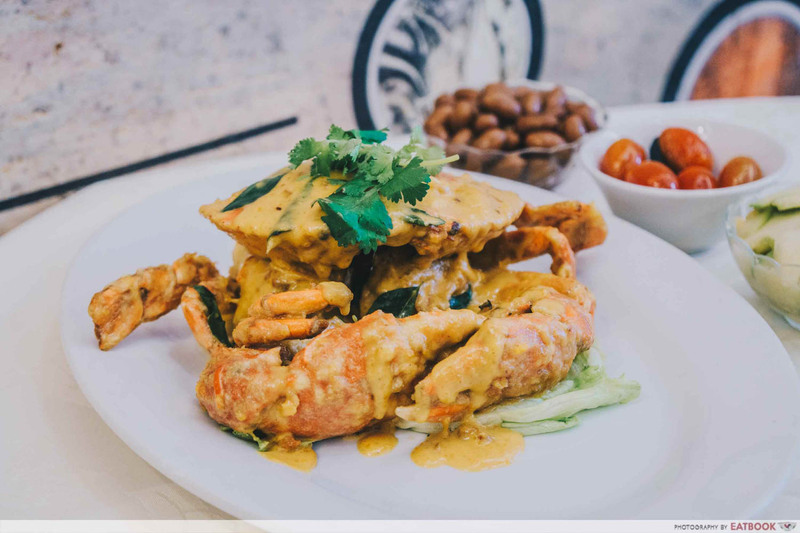 Crab At Bay’s ability to garner customers in a competitive stretch of seafood restaurants highlights the quality of its dishes. 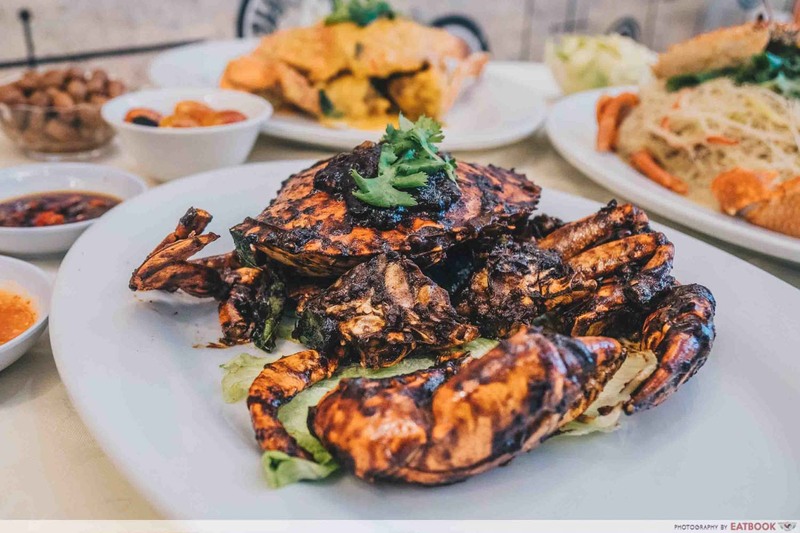 With the selection here leaning towards the traditional, Crab At Bay is a restaurant I recommend bringing my parents to for a homely seafood bonanza. 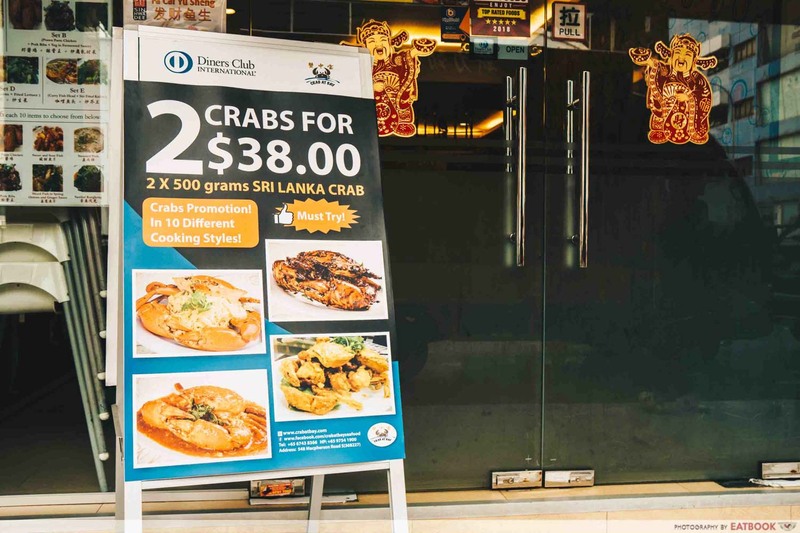 Crab At Bay is not a halal eatery.